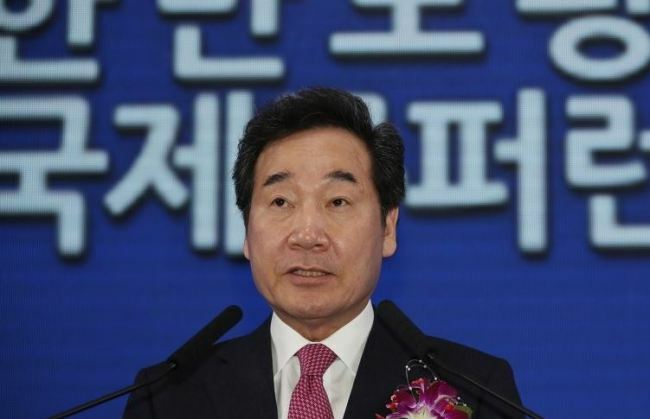 South Korean Prime Minister Lee Nak-yon said Saturday that he expects the second summit between the United States and North Korea to deliver concrete results. Lee made the remarks at an international peace conference in Seoul hours after US President Donald Trump confirmed that his meeting with North Korean leader Kim Jong-un will be held in Hanoi, Vietnam, on Feb. 27-28. Celebrating the first anniversary of the 2018 Winter Olympics in PyeongChang, Gangwon Province, Lee said the first-ever Winter Games in South Korea played a key role in creating the atmosphere on the Korean Peninsula. At the 2018 Winter Olympics, South and North Korea paraded in together during the opening ceremony and formed a unified team in women‘s ice hockey. Lee said overcoming division on the Korean Peninsula also requires international support, mentioning Korea‘s history after World War II.